I get a lot of emails and website comments about how to find the right truck driving school. And I see a lot of new drivers making the same mistakes. If you are serious about trucking, you owe it to yourself to read this, and do a little research before you take the plunge. One hour’s worth of phone calls and web browsing can save you tens of thousands of dollars, and maybe even 6-months of work! That’s no exaggeration. Let me illustrate. This is going to be a long article, but if you are serious about becoming a truck driver it is very important that you take the time to read it all. Go to a truck driving school, or a company-sponsored training program. Get your CDL yourself, with no schooling. Start out driving a small truck and work your way up to a bigger and bigger truck. Typically, the average truck driver’s career starts out driving a van or a pickup truck ($300 a week), say delivering auto parts, or working for a messenger service. After a few months, you find a better job driving a step-van ($450 a week), like maybe delivering potato chips or bread, or maybe driving a tow-truck. 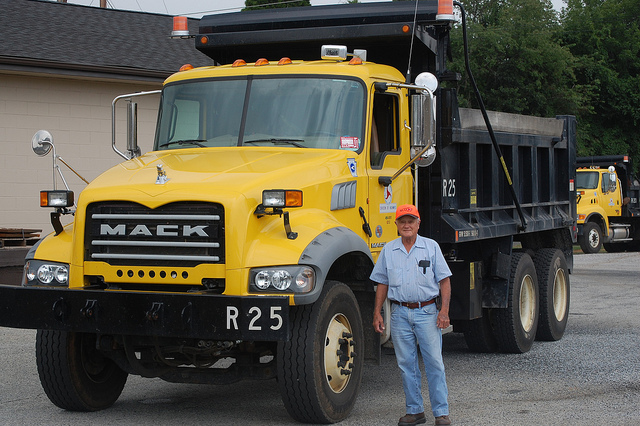 Of course, you’ll need your Class C CDL for some of those jobs. So you go to your DMV, pass a written test, and get your Class C permit. After a few months at that job, you might get a job driving a straight-truck ($750 a week), say, delivering frozen foods, moving furniture, or driving a garbage truck. Of course, you’ll need your Class B CDL at this point. But with your year-and-a-half experience driving step-vans and tow-trucks, anyone will hire you. Many of these companies already own semi’s too, and will let you work your way up. If not, work about 6-months, then find a better job with a bigger truck ($1000 a week+), say a dump truck for a construction company, or a roll-off dumpster hauler, or a soda or beer truck. Of course, you’ll need your Class A CDL at this point. At this stage of your career, typically, you have two years experience driving different kinds of trucks, and it is a small and natural step up to semi-driver. For more info on types of drivers licenses, visit AAA. There are shortcuts- but you may not want to take them. 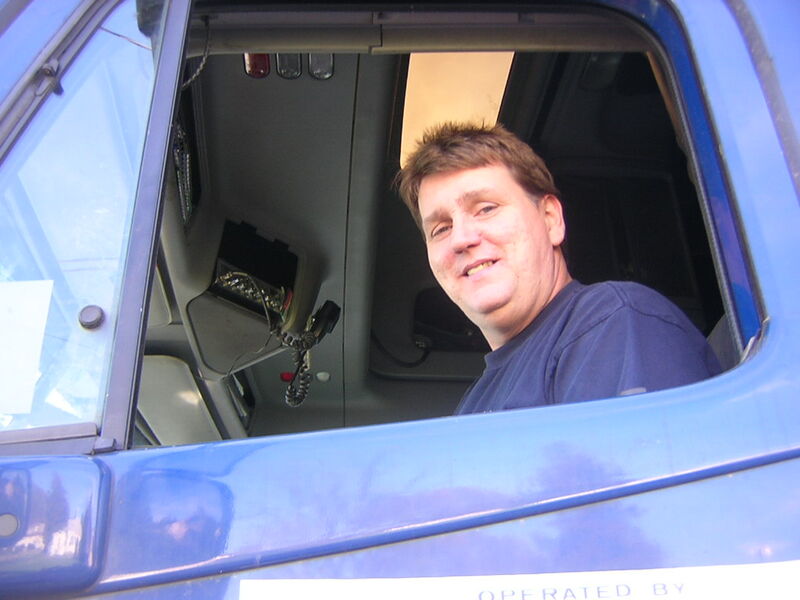 With no trucking experience whatsoever, you could conceivably just walk into your local DMV, pass the required tests, and walk out with your Class A CDL permit. Then, walk down the road to the first trucking company, and find a job that pays $50,000 a year. It can happen. The problem is, you don’t really know how to drive that huge truck, so you have to learn as you go. Can you do it? If someone gave you the keys and said, “go ahead and take this trailer to Texas, then call me” could you do it? If you grew up on a farm, and drove all kinds of trucks and tractors, or if your dad owned a junkyard and you drove all kinds of heavy equipment, you might think you can- and maybe you can. But most people, if you just put a normal person in the driver seat of a semi, one look in the mirror at how long their vehicle is will terrify them. And rightfully so. Driving a truck is not easy! I remember the first time I drove a big rig- a sleeper-truck pulling a 53-foot trailer. I was so scared of having a wreck, I moved slow as molasses. I took one foot at a time, literally. And I had already driven smaller semi’s (semi-dumps, soda trucks). But the difference in size was still overwhelming. 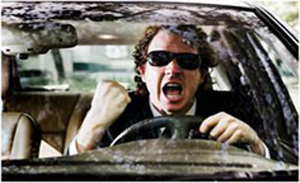 The size of the vehicle is only the beginning of your aggravation and hard work. There’s traffic, sharp turns, backing into tiny areas, weigh stations, freight that spills and you have to re-stack, and when you’re almost done and it’s dark out, you break down. On top of that, you’ll have dispatchers that think you can get somewhere in a half-hour, but it will take you two hours. And your customers will be mad, insane people, that you can’t argue with, so you’ll have to apologize to an idiot like it was your fault that the last stop didn’t know how to drive a forklift. Oh yeah, and you won’t be seeing your wife and kids this weekend. After a week like that, you finally walk into a truck-stop restaurant for a moment of peace, and they hand you a plate with cold potatoes and a small portion of something nasty. OK, so you know what it entails, and you still want to be a trucker? Maybe you’re no spring chicken, and can’t do any heavy lifting. Or, you just don’t want to spend those years working your way up. 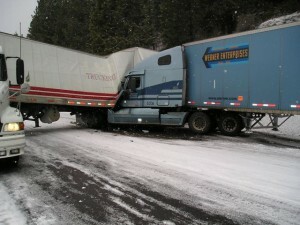 You just want to drive a big rig, make the big bucks, and get some good training so you don’t have any wrecks. Good choice. How to find a good truck driving school. I highly recommend attending an independent truck driving school. An independent school has one customer- you- their students. Whereas, a company-sponsored training program has a different customer- their shippers. You are merely a tool to keep their real customers happy. At an independent school, you can pick and choose your job from a list of trucking companies that are always hiring recent graduates. And if you don’t like your job, you can easily get another one. But at a company-sponsored training program, you are stuck with that one company for at least a year in most cases, and up to two years at some. A trucking company sponsored training program will lock you in at a low wage to “pay for your training”. And in the end, you will have paid up to $20,000 in wages for that training. But most independent schools cost only $5,000 to $8,000 (last time I checked.) Plus, you can often get a Government grant to pay for it! The reasons to choose an independent school are numerous. There are very few exceptions- but there are a few. I know of only one trucking company (out of Jeffersonville, IN) that doesn’t rip off their drivers with their training program- Mister P Express. They charge $4900 for their schooling, and pay a decent wage right afterward (35-cents per mile). But they are the exception. If you know of any more exceptions, let me know, I’ll mention them here. But most others, will make you work for 17-cents per mile for a year or more. So beware! How to tell if your school is trucking company sponsored or independent. If you Google “truck driving schools” and your city, you’ll see all the ads are usually trucking company sponsored. I’m looking at it now, and here are the trucking companies I see advertising their training program- CRST, Hogan, JB Hunt, CR England, Knight Transportation, and Averitt. None of their websites tell you how much it costs. They will try to sell you that when you call. But don’t call, or click. Can I get financial aid- a government grant? 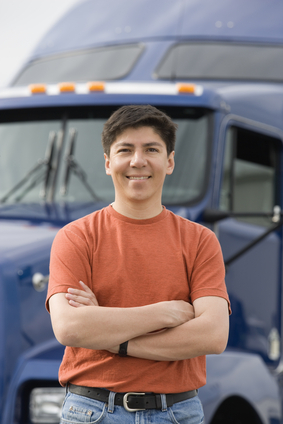 Do you have a lot of trucking companies that hire your graduates? Who are they and what are their starting pay rates? How long does schooling take? Do I need a high school diploma? Being accredited is not really mandatory. It helps though, you’ll have a few more choices. But, the important thing is- do your homework. An hour online, and another hour on the phone can save you thousands of dollars, and months of work. The answers to those questions, and the number of places you call will help you make a wise choice. You could go to a Community College. 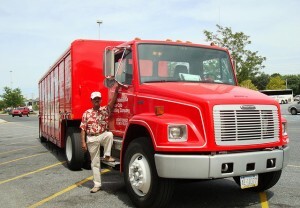 Many Community Colleges offer CDL training. Of course, they are accredited. But you may not get the hands-on experience, or have a real trucker as a teacher, the way you would at an independent school, or even at a company sponsored plan. Community Colleges usually only cost about $100 to $200. But you may have to wait a while for classes to start too. If you have time, and not money, this may be the option for you. I’ll add more. Ask some questions in the comments area below, and I’ll do my best to answer them. Maybe we can all learn a thing or two. Great article! I’m in a similar dilemma. Cant decide what to do, and its driving me crazy. But I’ve been leaning more towards the trucking companies and their contracts (CR England vs. PAM to be specific), till I came across this article. Really opened my eyes to what my options are at this point. Still I can’t see myself getting a government grant though…. seems hard. And I definitely can’t afford an independent school on my own. One thing I can’t stand though with these company sponsored programs is that they require you to share the truck with someone for 4-6 months!!!! Imagine being with a complete stranger for 24 hours a day, for 4-6 months straight! Most likely with a smelly overweight man who hasn’t showered in who knows how long! Just doesn’t sound very appealing. My brother has been wanting to take mc courses to learn how to drive his truck. I think that being able to get truck training would be good, and I think it would help him get a job. 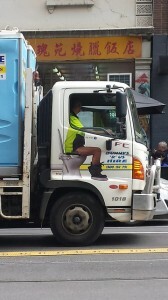 You mentioned being able to know what it takes to be a trucker. I’m going to have to look for some good options, and see if we can find him a good truck driving school! Thanks! Love the article but it’s kind of put me in a dilemma. I thought I had my mind made up but your article changed that. I have two opportunities to get my CDL to choose from. 1) A major trucking company has offered to send me to their school. While there I won’t get paid while in class. But I will get paid while in the truck with the instructor. I also have to commit to driving for them for 13 months. During that time they will take 38 dollars a week to pay them back for the school. Roughly 2200 bucks. And they will pay me 33 cents a mile to start. I have a friend who drives for one of their competitors and he says they’re a good company and will move me up the pay scale quicker than a lot of other companies. 2) My other option is a private school, cost is 6000, financing is available. So I’m not guaranteed a job when I’m done. But they have a good reputation and have several big name companies that hire their students. And of course there is always the possibility of being hired by a company that offers tuition reimbursement. So if I go with one I have a job right out of school. If I go with the other then I’m still job hunting, maybe. My friend I mentioned earlier is telling me to go with the company and not the school. If you stayed for a year and drove 100,000 miles (this is a low estimate- 2000 miles a week for 50 weeks, you should really drive well over that, especially when you consider 13 months instead of a year), you will have lost over $5000 in wages. So add that to their cost of $2200. And if you happen to drive say 140,000 miles (which is probably closer to reality if you are a hard worker), it will cost you $7000 plus the $2200. Most companies start a fresh-out-of-school driver around 35 or 36 CPM. If you attend the independent school, it may seem more expensive, but it’s not. Plus, you’ll have about a dozen companies to choose from starting the day you graduate. The more you do the math and make phone calls, the better choice you will make. The only advantage of going with option 1 is it will probably be a little sooner that you will be working. But be warned- if you decide trucking is not for you, and quit before your 13-months, you will owe them a lot more than $2200. Thanks for the advice. I’ll try the experiment you suggested. Love your site. I intend going for training at my community college but one of the requirements is to provide seven years driving record from DMV. I have been in the country for 2 years…I’m an immigrant and I can meet all other requirements. Do you think I have a chance? All you can do is try- and all they can say is no. I say go for it. If there is any chance you can get your driving record from your Country, maybe that will help too. Who requires 7-year record? By law, trucking companies have to verify your work history for 10-years. But if you only have been working for a few years, that’s expected. If it is the College that wants it, I wouldn’t worry too much just bring what you have.